The Chiefs ended the Blues' four‑match winning streak, beating their neighbours 33‑29 in a lively New Zealand derby. 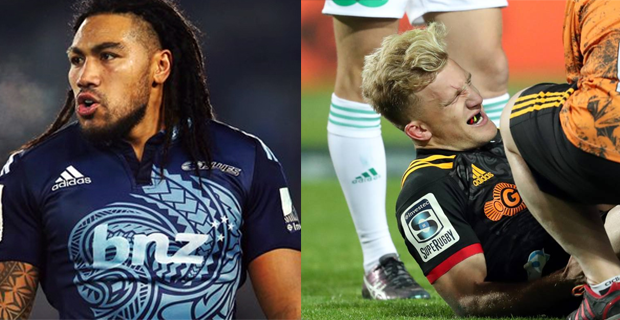 The Chiefs also lost Damian McKenzie to a leg injury early in the second half. Ma’a Nonu scored two tries for the Blues but it was not enough as the Chiefs held on for the win. The Chiefs remain unbeaten against the Blues in the last 15 matches. In other matches last night, the Brumbies beat the Lions 31-20. In matches this morning, Jaguares destroyed the Sharks 51-17 while the Bulls beat the Reds 32-17.